HomeReviewsNintendoGAME REVIEW | Full Magical Heroics In Beautiful "Half-Genie Hero"
WayForward's Shantae has been one of the most under-appreciated heroes in gaming history. From her debut on the Game Boy Color to her critically-acclaimed sequels Risky's Revenge and Shantae & the Pirate's Curse on multiple platforms, the half-genie extraordinaire has wowed gamers with its fun classic gameplay mentality, hilarious stories, and cool transformations. However, the overall look of the game has stayed more in the realm of pixel art, with a retro feel that gave Shantae's adventures a Super Nintendo vibe. In 2013, WayForward decided it was time to bring Shantae to the next-gen, and announced a Kickstarter to make this vision happen. 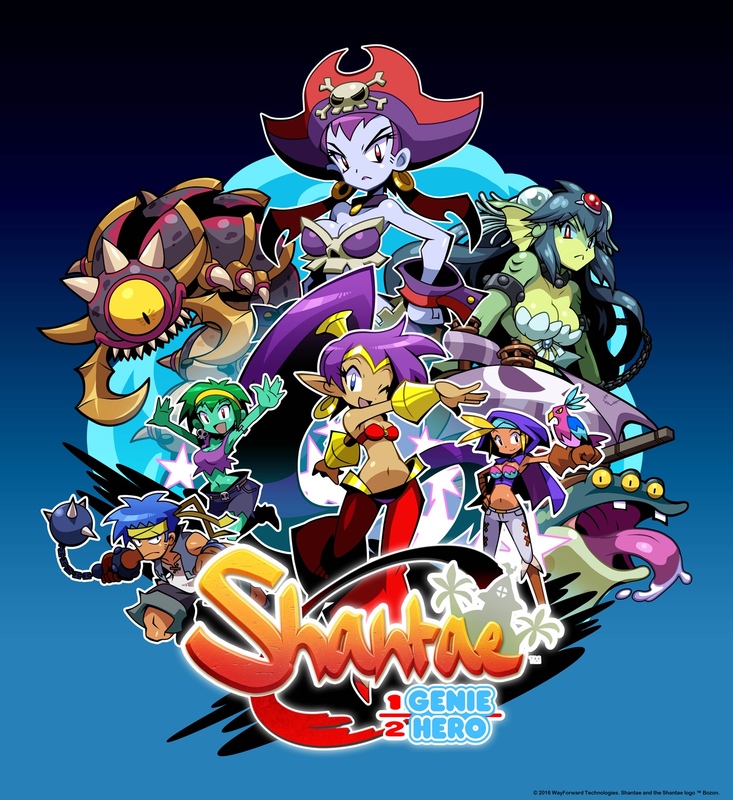 Turns out, a lot of people -- myself included -- wanted such a thing to exist, with the crowdfunding motif raising over $950,000 to bring Shantae: Half-Genie Hero to life. 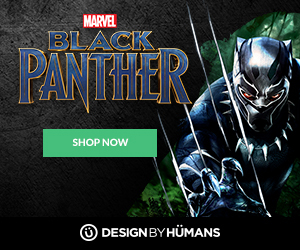 Now three years later, the game finally arrives at our doorstep, but is it a Kickstarter success story or another wary sign of taking precaution to backing any game on a crowdfunding site? Backers, lift your heads proudly, as Shantae: Half-Genie Hero is one of the absolute best games to have used the Kickstarter route to make it a reality. Taking place after the events of the last game, Half-Genie Hero finds Shantae waking up to a mysterious voice. Within a secret cave, a being of the Genie Realm tells her that an impending evil is about to be unleashed, and that Shantae is the only one that can stop it. The next morning, Shantae visits her Uncle Mimic, who is working on a machine to keep Scuttle Town permanently safe from danger. After a brief and violent interruption from Risky Boots (and another job termination from Mayor Scuttlebutt), Shantae sets across Sequin Land to search for the machine parts in order to help bring safety to her hometown. Keeping true to the original classic gameplay, you'll have Shantae run through levels with her hair-whip attack as your main weapon. Taking on enemies, you'll have to be quick to eliminate everyone off-screen as you go from Point A to Point B. 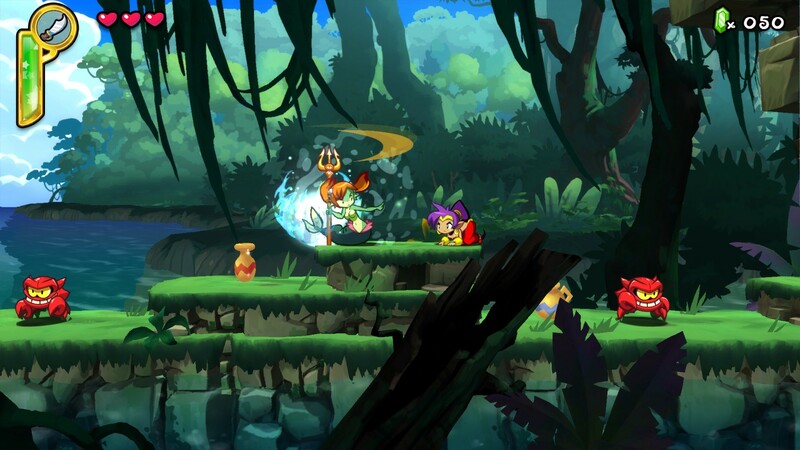 Throughout the game, Shantae collects new powers that will help her reach new items, collectibles, and additional heart containers to extend her life. These cool tricks include a monkey technique for climbing, a Harpy transformation for flying, and a mermaid appearance for swimming towards higher and deeper areas. You can also buy some secondary weapons, many of which come in handy when dealing with tougher enemies. 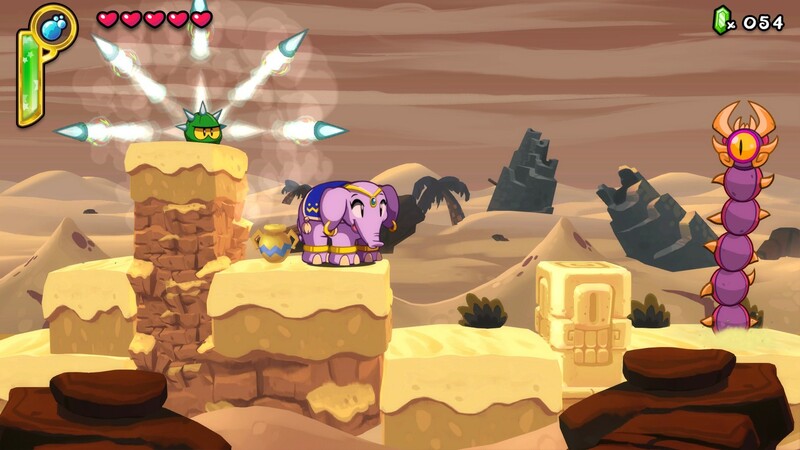 At first, Half-Genie Hero plays easily, but progression will lead you towards tougher areas and jumps. It's one of those games where failure is just another means of learning the ropes, although later levels could leave some players frustrated. While its checkpoint system is forgiving, there were a few times where I jumped at the wrong moment, forcing me to head all the way back to the start of the section. Needless to say, there were sounds of frustrating pouring out of this reviewer's mouth on quite a few occasions. However, despite these irksome moments, never once did I not have fun with Shantae's latest adventure. Moreover, this was one of those games where I couldn't wait to see what was around the next corner. 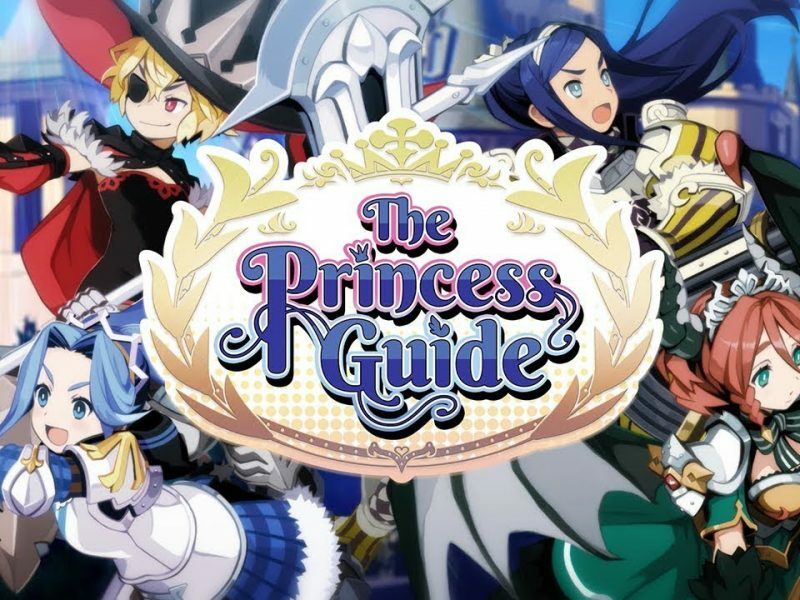 Beating up Tinkerbats and Bonelegs, saving maidens from becoming faux mermaids, and finding all the hidden secrets this game has to offer made me excited for what sort of trick the half-genie was about to present her audience. Even the boss battles, while easy at times, were enjoyable from start-to-finish, with clever fights with the P.O.O.P. T.O.O.T. and Ammo Baron being some of the game's most exciting (and humorous) highlights. Control-wise, it's amazing how simple it is to transform and attack. While there may be times where you'll accidentally do the wrong transformation, changing from one form to another is quite the cinch. Attacking with your hair-whipping techniques is pretty standard, and is surprisingly comfortable to perform without the fear of mashing your fingers in pain. Since no two commands share the same button, it's fairly easy to memorize which does what on your controller layout. It's clear that a lot of work went into Half-Genie Hero's visual style. 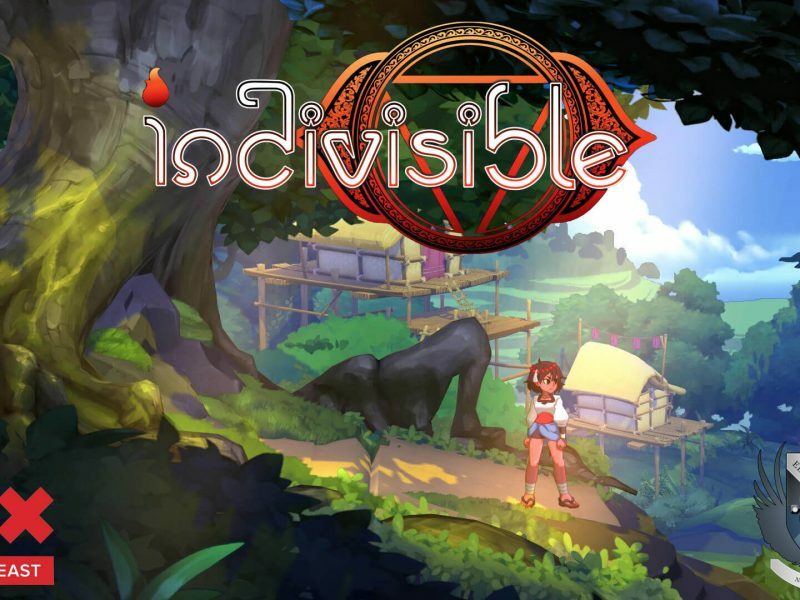 Like a blend of modern-day anime and the Wakfu TV series, the game shines brightly with some of the most beautiful cel-shaded visuals around. 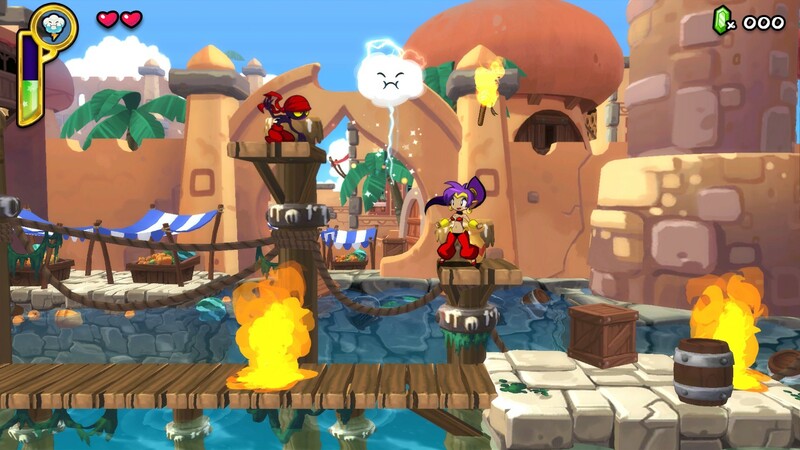 From the immersive backgrounds and character's movements to even their expressions, Shantae's universe has been given the visual upgrade it most certainly deserves. If there was ever an argument for Shantae to get her own animated show, this game would serve as a great example on how to get its presentation done right. 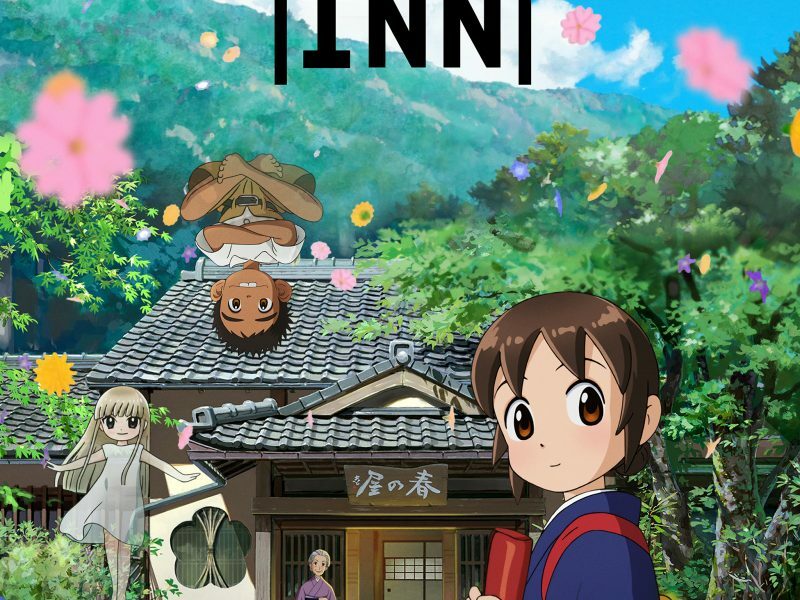 Entertaining from start-to-finish, the story has enough silly quips, heartwarming moments, and some nice twists all along the way. While the game does have its more serious moments, it's hard not to smile at much of the banter between Shantae and her friends/enemies/frienemies. Cristina Vee also gets a far bigger chance to showcase her voice acting chops as Shantae and Risky, proving that she was born to play both the hero and villain of Sequin Land. Although Half-Genie Hero is not fully voiced, at the very least the better lines get the vocal treatment. Shantae: Half-Genie Hero will take about eight hours to beat, and that's if you collect 100% of the items located throughout the game. Once completed, you'll be able to unlock a new game mode that will allow you to play with all of Shantae's transformations at the start of the game, thereby giving players the chance to speedrun it. More side-stories will be made available in the near-future, featuring the chance to play as Risky Boots, Sky, Bolo, and Rollytops, although here's hoping that future is sooner rather than later. There are not enough words to describe how wonderful Shantae: Half-Genie Hero is. Great platforming mechanics, fun transformations, and some exciting boss battles help make our purple-haired heroine's latest adventure her very best. Shantae: Half-Genie Hero is a triumph for the classic side-scroller genre, one that finally puts our belly-dancing protagonist on the same podium as the likes of Super Mario and Mega Man. 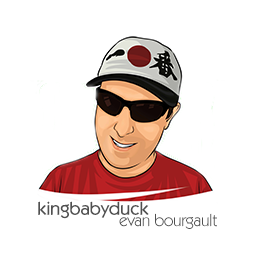 If you are a true lover of video games, do not hesitate to add this one to your collection. Reviewed on the PS4. 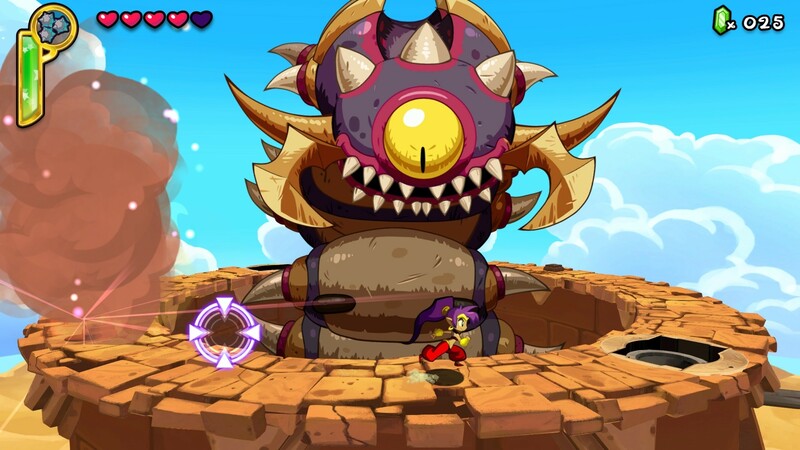 Shantae: Half-Genie Hero Kickstarter backed by author.